16/10/2014 16/10/2014 fcmalby6 Comments on That Awkward Question: Where Do Writers Find Their Ideas? 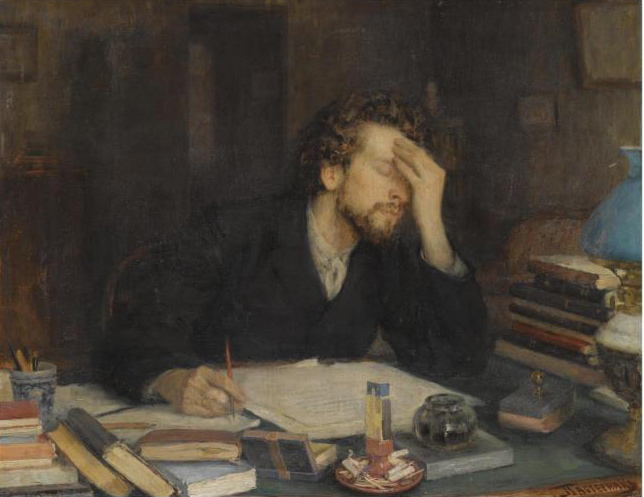 That Awkward Question: Where Do Writers Find Their Ideas? Yesterday I watched a really interesting set of readings from the Cheltenham Literature Festival. This was a special event (link to the programme will expire in 4 weeks) welcoming all six writers on the 2014 Man Booker Prize shortlist to the Festival: Joshua Ferris, Richard Flanagan, Karen Joy Fowler, Howard Jacobson, Neel Mukherjee and Ali Smith. The authors discussed and read from their shortlisted novels, then took questions from the audience. The readings gave a good sense of the tone and subject matter of the books. What was particularly interesting, and uncomfortable, though, were the questions after the readings. I don’t think there was a single question posed to the authors that wasn’t either ‘naughty’, in the words of the host, or just difficult to answer. They were asked, if they had to swap their novel with one of the longlisted books, which one they would choose. Needless to say, nobody answered this question. They were also asked how they felt about sitting with two Americans (the Prize was opened up to American authors for the first time this year). Neel Mukherjee said he preferred an inclusive approach over exclusivity. This has been much debated over the years. Joshua Ferris broke the ice with some humour, adding, ‘I think I speak for Karen when I say, we are completely beside ourselves’. The most awkward question, and this was possibly the worst set of questions I’ve heard from any audience to a panel of writers, was whether they had read each other’s books. Ali Smith, thankfully, had read the whole set and thought that they were ‘fantastic’. They were also asked how you know when you have truly finished your novel. The authors agreed that it was much like a painting where you added the last brush stroke. This was one of the better questions, but the question that struck me as particularly familiar came from a young girl in the audience. She asked the eternal, ‘Where do you find your ideas?’, question. And it’s one that makes many writers uncomfortable, primarily because it is difficult to answer. The responses from the authors varied. Karen Joy Fowler said that her ideas came from her daughter, and that the question had once been difficult to answer, but was now all sorted. A very tongue-in-cheek, and slightly evasive answer. Howard Jacobson suggested that the word ‘ideas’ may not be the right one to use, and that he sees a scene. He mentioned Milan Kundera in his point that it might be better to try not to have ideas. Joshua Ferris’s answer was closest to what I experience when I write. He said that he has sentences before he has ideas, and that those sentences come from somewhere. From that sentence come other sentences and at some point you find a rhythm. Ali Smith, after a joke about Waitrose (although she failed to mention Peter Andre), says that ideas are absolutely everywhere. Every single thing that we encounter is filled with possibilities and at some point there is a chemical process, a fusion of ideas. She talked about the need to have your senses open. Neel says he gets his from reading other people’s books. But don’t tell anyone! His title came from a a book called Light Years, by James Salter. And finally, Richard Flanagan shared his view that novels are a ‘crack diary’ of your soul. I often begin with a scene, as Howard Jacobson mentioned, and if it won’t go away, I commit it to paper, building a story from that scene, asking who the characters are and what they want, what is blocking their desires and what might happen next. I try to feel the atmosphere. With my current work in progress I initially had five key scenes but I knew that they were scattered, and the difficulty lay in linking these once they were written. It became a jigsaw puzzle. I usually write chronologically, but there are no rules. And there in lies the problem: no rules, no solid idea of where the stories begin, but you only need a seed. You allow it to grow and then shape it into something that you hope will inspire and challenge readers. Ideas are as much a mystery to writers as they are to readers. You experiment with different ideas to see what works and, often, ideas will surprise. Super post, and I must follow up that link to the Cheltenham Festival before it expires. How dreadful to be faced with an audience (and you’d expect it to be semi-informed and literate at a literary festival) asking such unengaging questions. Must have felt almost soul destroying when they’re there to talk about what are supposed to be the best novels published in English this year. As to the ideas question, I think we are honour-bound to have some kind of answer, even though it’s such an ephemeral thing, so hard to pin down. I do like Richard Flanagan’s notion of the crack diary of the soul – must find a way to use that. I’m with you in the sense of the seed that grows organically, sometimes in unexpected ways. I tend to find my most creative thoughts when I’m out walking, I think it’s something about having a steady rhythm and being out in the open. One of the questions was about Richard Flanagan’s book, and came from someone in the audience who hadn’t read his book. He told them to go and read it. the Q&A was painful, but the readings and discussions were wonderful. I really enjoyed the programme. Do watch it if you can. It’s a shame there isn’t a permanent link but it’s a BBC production. I loved Flanagan’s description of a crack diary of the soul, too. The authors were all so varied in their responses and it’s always a pleasure to hear them read from their work. I find ideas come (however cliched) when I least expect them to and linger. If they say, I write them down. It is often, as you say, while out walking or somewhere else. Thanks for your comments, Anne. I’ve watched it now and also liked the other bit from Richard Flanagan saying that it’s readers who have the ideas – I like that notion of reading as an act of co-creation and, once it’s out, it’s not about the person who wrote it anymore. Although the Flanagan is the only one of the shortlisted novels I’ve read as yet, I was interested also to see what passage they selected to read out – do they read from the beginning of pick out the best bit? They pick out a chosen favourite section. It’s such an insightful programme. Such a lovely discussion, and wonderful for you to give us insight into all these different answers at once, which I think is what it’s all about because this question is essentially a discussion: today I got my ideas from a photo, yesterday an overheard conversation, tomorrow a memory. Absolutely. You find snippets of ideas everywhere. Stories are snatches of ideas that come in dreams, conversations, paintings and sometimes film or other stories and poems. They arrive in ways you would never expect. I found the programme really insightful and it sparked lots of thoughts in my mind. I’m glad the post was helpful. Thanks for your lovely comments.